UPDATED | The BBC hasn't yet made any decisions on how it will use spare broadcast capacity freed up by the removal of BBC Three next year. Some of BBC Three's bandwidth will be used to extend the CBBC channel by two hours, leaving spare capacity from 9pm every evening. Currently, the CBBC channel takes over the bandwidth shortly after 5:30am and has historically used the time before it starts at 7am for promotional material. But the BBC says it's looking at uses for the full 9pm-7am time period. Various options have been considered - covering both BBC and non-BBC use of the capacity - but these details have been withheld from public viewing. The BBC says it doesn't want to make any decisions until the BBC Trust has had their final say. There would be two slots available - one freed up by the removal of BBC Three in standard definintion and one slot freed by the HD version of the channel. The SD slot on Freeview can't be commercialised as it is on capacity gifted to the BBC under the Royal Charter, but there are options available on the Freeview HD capacity. The equivalent capacity on satellite has no restrictions on re-use for either BBC or non-BBC services. The BBC would not have any control over any freed up space on cable, as the capacity would fall back under the control of cable operators. The freed capacity is separate to the channel numbers that BBC Three currently occupies - whatever uses the ex-BBC Three capacity wouldn't automatically take BBC Three's channel numbers. The BBC Trust is currently undertaking a second public consultation on BBC Three and the BBC Executive proposes to launch a temporary BBC Three Online promo channel between mid-January and the end of February 2016 to ease the transition. Is this the bandwidth that BBC One+1 was supposed to use? Earlier plans to use BBC Three's evening bandwidth for the doomed timeshift service were considered and discarded. Because BBC Three timeshares with CBBC and the BBC wanted BBC One+1 to be 24/7, the timeshift channel was to take additional bandwidth - although some media outlets continue to associate the BBC Three bandwidth with BBC One+1. Basically, the bandwidth discussed in the BBC Executive's proposals published today has nothing to do with the capacity that would have been used for BBC One+1. The multiplex concerned is called BBC-B or PSB3. Technically, now that BBC One+1 won't need the bandwidth, there's room for the BBC to retain a slot on BBC-B for an extra Red Button stream during major sporting events, plus room for another HD channel - there's nearly 10Mbps of empty capacity available 24/7 on BBC-B, that's before the current BBC Three HD capacity becomes vacant. ITV, STV, UTV and Channel 4 use two HD slots on the multiplex for their services, Channel 5 hasn't yet confirmed whether it will be launching Channel 5 HD on Freeview anytime soon. 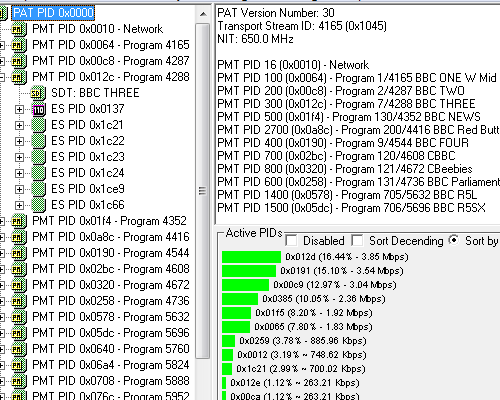 Spare bandwidth on BBC-B should be used to make BBC4 HD available to more of the country, since this mux is carried on Freeview Lite transmitters. This would also reduce costs as current BBC4 HD bandwidth is paid for. I agree with above, why talk about what to do with bandwidth, when I and many others cannot get BBC4 in HD! 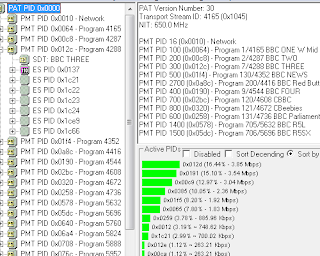 The BBC's HD multiplex has ample capacity for CBeebies/BBC Four HD in addition to any freed up bandwidth created by the removal of BBC Three HD.